it to your home or place of business! 1/2 Off Your First Delivery Charge! Where do you deliver? We deliver to Scott County, Minnesota area. How does it work? We offer various services to satisfy the need for delivery in the area. 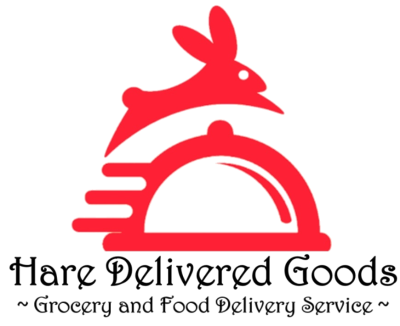 Services that we offer include Business Lunch Delivery, Restaurant Delivery, Grocery Delivery, RX Delivery, and Errand Services. Grocery Delivery - Place your order above under "Grocery Delivery." Our delivery fee is $9.99 plus 10% of the order total . Payment will be accepted at time of delivery. Restaurant Delivery - Place your order above under "Restaurant Delivery." Payment will be accepted at time of delivery. Business Lunch Delivery - Place your order for a specific day by following the link above titled "Business Lunch Delivery." Our delivery fee is $3.69. Payment will be accepted online upon placing your order. Liquor Delivery - Place your order above under "Liquor Delivery." Our Delivery Fee is $8.99 plus 10% of the order total . Payment will be accepted at time of delivery. RX Delivery - Place your order above under "RX Delivery." Our delivery fee is $8.99. Payment will be accepted at time of delivery. and then we will shop for your items and deliver them to you. You will then be able to pay by Visa, Mastercard, American Express, or Gift Certificate. Are there any additional fees? No, unlike other delivery services we do not mark up the price and there are no hidden fees. 90 minutes before delivery time.